Package Pick Up: Will take place on the morning of the run at Austria Passive Haus from 8:00am to 8:45am. See link to map in line above. Finishers Award: Finishers in each distance will receive a finishers medal. 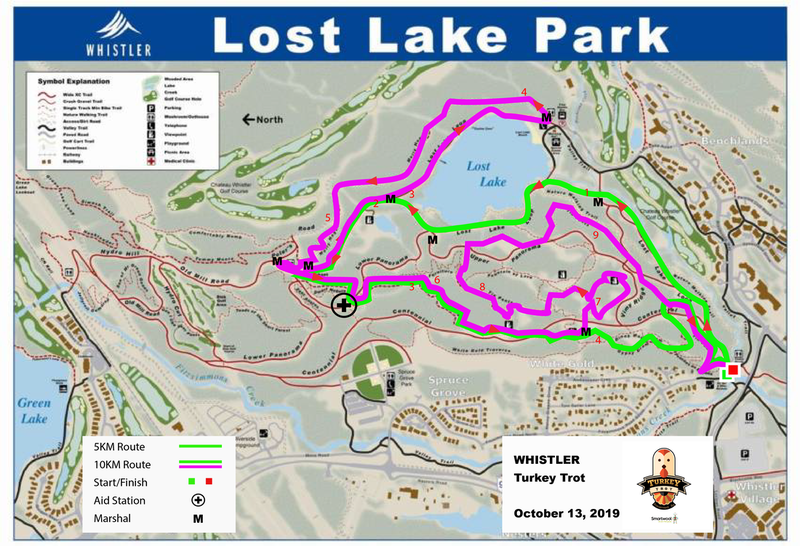 Parking: Day Parking Lot 5 is the closest to the start line and is located on the south side of Lorimer Road new Blackcomb Way West. Parking is FREE this time of year. ​Gear Check: There is not a secured private gear check, however athletes are able to leave a small bag or personal items in Passive Haus well running in the event. Valuables should be taken with you or left at home.